Paris is a beautiful city located in France and has millions of visitors annually. We scan millions of flights to Paris annually giving you some amazing prices on flights from Johannesburg, Cape Town and Durban to Paris. Student travellers wanting every cent for their holiday will be looking for the best airline prices, what airlines offer student discounts or cheaper travel during certain periods. They have a great choice of airlines to compare, taking into account airline affiliates right here with us. One of Europe’s most amazing cities, Paris has art, romance, fashion, pavement cafes, superb eateries, theatres, shops, olden monuments, buildings and the most beautiful lush parks you’ll ever find yourself in and more. This city has something special for every visitor to enjoy, whether you’re there for a day, a week or longer, you’ll want to return for more. Paris, capital and the most populous city of France is set in the north on the River Seine and boasts the largest concentration of attractions in France, and perhaps Europe. Founded by the Parisii (Celtic people) in the 3rd century BC, the city oozes with history. By the 12th century it was a thriving business centre and the largest city in the western world. Paris is home to the most visited art museum in the world and has numerous fabulous landmarks to visit, some dating back to the 12th century, little wonder the city received 22.4 million visitors in 2014 making it a top world tourist destination. Visitors have an enormous selection of hotel accommodation to choose from in and around Paris. 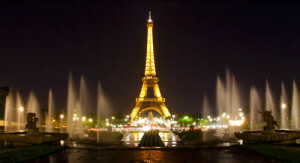 Stay in the heart of Paris, near to the Eiffel Tower or on the outskirts of the city. There are plenty of budget hotels, 3/4 and 5-Star establishments, boutique and luxury hotels. Visitors on tight budgets have a great variety of clean, comfortable and affordable backpacker and hostel establishments to rest overnight in. The River Seine, 777 kilometres long is an imperative commercial waterway within the Paris basin while its banks, from Pont de Sully to Pont dIéna, are listed as a UNESCO World Heritage Site. Take a wonderful relaxing cruise, have a delectable meal on a floating restaurant, explore the river banks or just chill out on a bench and watch the world go by.